Dubai: Anyone looking to buy property in Dubai might have reason to take a pause — apartment sales values in the city dropped 1 per cent during the third quarter and could soften further in the current three-month cycle. 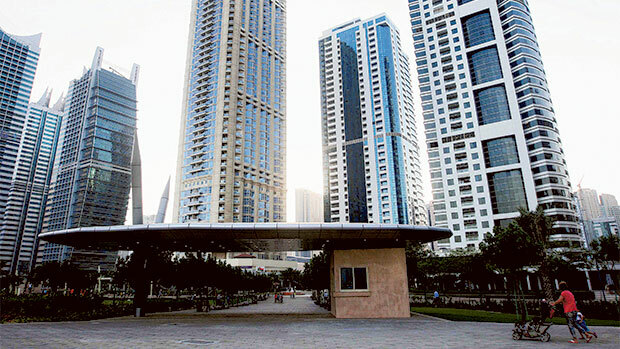 It further indicates the fact that Dubai’s property market is turning gradually into a buyers’ one after sellers called all the shots since 2012. “Sales prices may soften further in the fourth quarter of 2014 as new supply enters the market”, according to a report released by Asteco. The current soft cycle in property values would thus force potential buyers to consider getting in now or whether to hold off until there is a marked dip in asking prices. With rents also softening in key freehold clusters in the city, it is the first time since 2012 that both sales and leasing values hit a lower note, according to Asteco, adding this is “a result of a natural adjustment to ongoing new supply entering the market”. A shift towards the mid-market can certainly help with the volume of transactions. Industry feedback suggests that secondary market deals involving premium properties are down by more than 20 per cent in recent weeks. There have been quite a few off-plan launches, but with the exception of a handful, the sales programmes on these are taking place at an incremental pace rather than being snapped up at first sight. “Dubailand is a community that has premium offerings such as Akoya and the more recently announced Indigo Zen, but earlier sustainable projects such as the ones from Diamond Developers as well as Dubai Lifestyle City and Falcon city are priced closer to the luxury segment prices — north of Dh1,100 per square foot,” said Sameer Lakhani, Managing Director at Global Capital Partners.